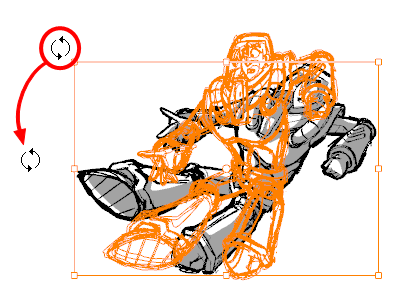 Storyboard Pro 6.0 Online Help: Transforming Artwork with the Select Tool. 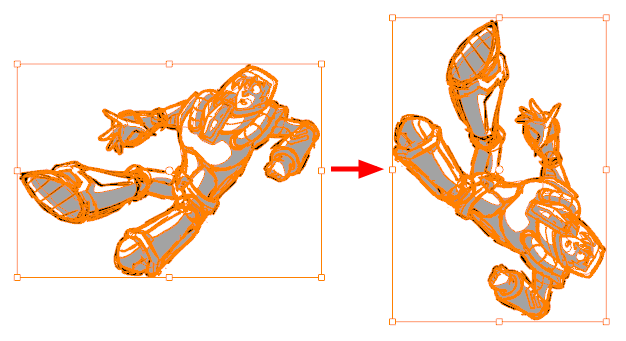 Transforming Artwork with the Select Tool. Once a selection is made, you can manipulate it by moving it, rotating it, scaling it or skewing it. In the Stage view, make a selection—seeSelecting Artwork with the Select Tool. To move the selection, move the mouse cursor over the selected artwork, then click and drag it. To make it easier to move the selected artwork, you can enable the Select Tool Bounding Box is Movable option in the Tools tab of the Preferences dialog box. This lets you place the cursor anywhere inside the bounding box and move its contents. This option applies to these tools: Select , Select by Colour, and Cutter. 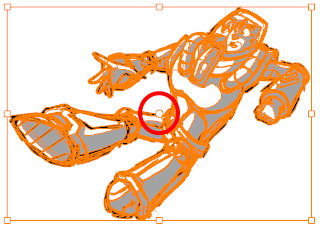 To resize the artwork, position the cursor over one of the square points at the corners and over the edges of the bounding box. When you see the scale cursor appear, click and drag to resize. You can preserve the horizontal and vertical proportions of the artwork in the selection by holding the Shift key. You can scale the artwork from the selection's pivot point by holding the Alt key. 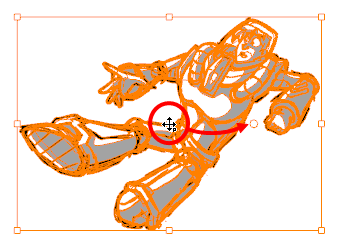 To rotate the selected artwork, position the cursor at any corner of the bounding box. When you see the rotate cursor, drag to rotate. 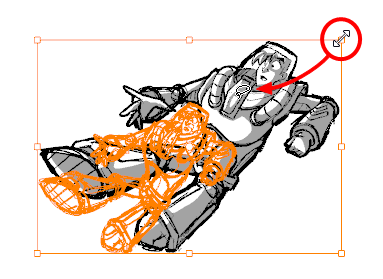 TIP You can rotate the artwork in 15° increments by hold the Shift key. 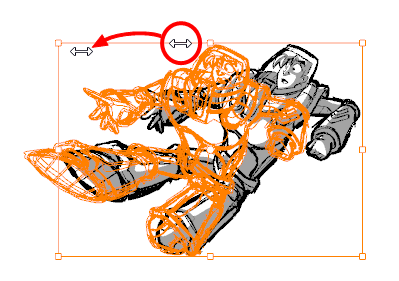 To skew the artwork, position the cursor on any side of the bounding box and drag to skew. In the Tool Properties view and click on Rotate 90 CW to rotate it 90° clockwise, or on Rotate 90 CCW to rotate it 90° counterclockwise. From the top menu, select Tools > Transform > Rotate 90 CW, Rotate 90 CCW or Rotate 180. Open the Tool Properties view and click the Flip Horizontal or Flip Vertical . From the top menu, select Tools > Transform > Flip Horizontal or Flip Vertical. 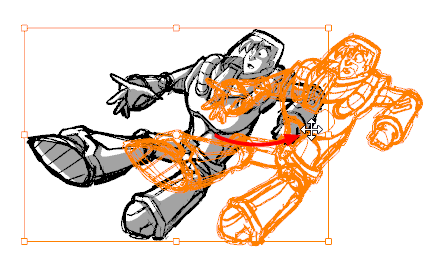 When rotating your selection, your artwork will rotate around its pivot point. This point is placed in the centre of your selection by default. You can move it to a different location before performing a rotation so that it rotates around the preferred pivot point position instead. Click and drag the pivot point to a new position. This becomes the new position of the pivot point for the selection. It will remain in this position until you change the selection.